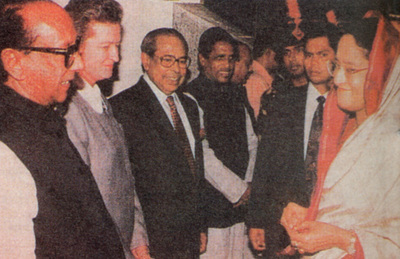 "1996 meeting prime minister of Bangladesh,_Sheikh Hasina"
"1996 meeting prime minister of Bangladesh,_Sheikh Hasina" (1905). Noteworthy People of UNI Photographs. 46.